Technology updtes from the Foci Solutions team. 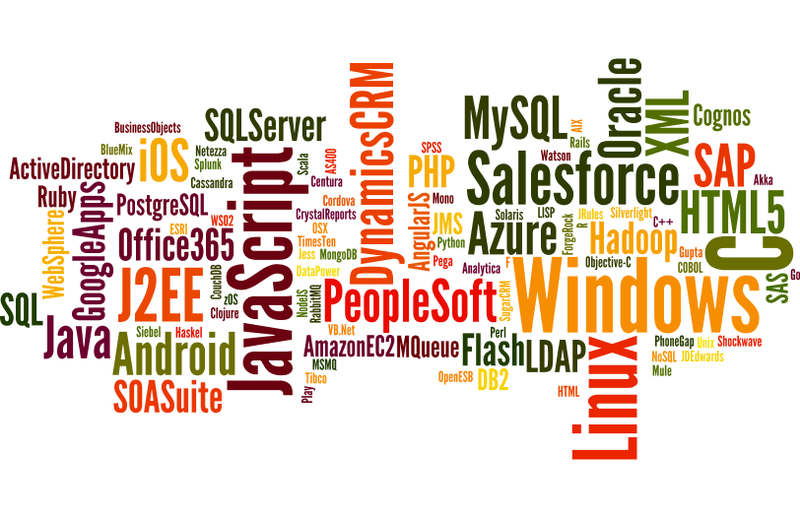 Large enterprises usually have many programming languages across their departments. These departments, often located in different cities, will build teams out of what they see as the best-available local resources. 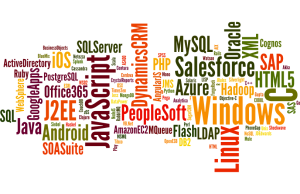 It’s fairly common to find large-scale enterprise or government groups that have applications written in .NET and Java, never mind the plethora of other languages and flavours thereof. This technological mishmash is a major challenge to any sort of enterprise service bus; one that Orbital Bus is trying to overcome. In creating Orbital Bus, we decided at the start that developers shouldn’t have to learn any new languages to implement our solution. The learning curve had to be minimal to ensure wide-spread adoption. We were able to deliver some of that goal by creating our Code Generation utility. This tool would allow us to take a single input and compile it to code usable by our ESB. However, this tool still needs input, so what were we to do? Continuous integration can be a tough sell to managers. It’s hard to describe the need for extra time and resources to build automated tests that should mimic what is already being done by developers. This advocacy can be especially difficult early in development when CI failures are common and the pipeline will need a lot of work. Why would any manager want a tool that creates more problems and interferes with the development cycle? A robust continuous integration pipeline is vital during development since it protects from the deployment of broken code and will generate more issues to remove bugs before production. Since Orbital Bus is an internal project, we decided to use it as an opportunity to build the kind of CI pipeline we always wanted to have on client sites. Early on we looked at the possibility of automated provisioning of multiple machines for integration tests. We looked at a variety of tools including Vagrant, Salt Stack, and Chef and Puppet. What we found is that this automation was not worth the time investment. This post is supposed to be about the value of investing in a CI pipeline, so why are we talking about work we abandoned? To demonstrate that the value of a CI pipeline has to be proportionate to the time cost of maintaining it. When it came to automated provisioning we realized that we would spend more time maintaining that portion of the pipeline than reaping the benefits, so we stood up the VMs manually and replaced provisioning with a stage to clean the machines between runs. As development progressed, we added to our pipeline, making sure that the time investment for each step was proportionate to the benefits we were receiving. Gradually we added the build process, unit tests, and automated end-to-end integration tests. As we continued to experiment we began using the GitLab CI runners to enhance our testing. We also discovered that GitLab could integrate with Jenkins, and brought our pipelines together to create an integrated dashboard on GitLab. As we neared the public release, we added a whole new stage for GitLab pages to deploy our documentation. 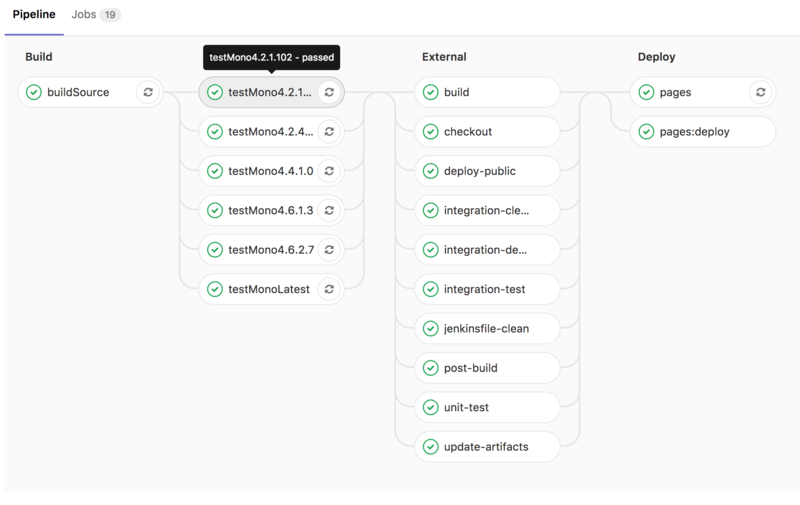 A shot of our Jenkins pipeline builds. As the saying goes, Rome was not built in a day. Neither was our continuous integration. We added to it gradually, and as we did we had to overcome a number of obstacles. Our greatest problem has been false negatives. False negatives immediately negate the benefits of continuous integration because the team stops respecting the errors being thrown by the system. At one point, our disregard for the failures on the CI pipeline prevented us from noticing a significant compatibility error in our code. Each failure was an opportunity for us to understand how our code was running on multiple platforms, to explore the delta between development and production environments, and ultimately made our solution more robust. From the perspective of productivity it was costly, but the time greatly outweighed the value of hardening of our solution. A capture of one of our GitLab pipelines. You would be mistaken if you thought we’ve stopped working on our pipeline. We have plans to continue to grow our CI, expanding our integration tests to include performance benchmarks and to work with the multiple projects which have originated in the Orbital Bus development. These additional steps and tests will be developed alongside our new features, so as to integrate organically. As our solution matures, so will our continuous integration, which means we can continue to depend on it for increased returns in our development cycle. After getting familiar with the Orbital Bus Architecture, and how it solves the traditional Enterprise Service Bus (ESB) shortcomings, it was time for our development team to create a secure solution around the components and communication channels of our distributed solution. RabbitMQ is the message broker across its various components. Orbital Bus service registration and discovery is built on top of Consul. The receiver calls out to the consumer with a REST Adapter that is built using the RestSharp Client. Provide a secure vault to store various types of credentials, certificates, and tokens. Make the security features optional so it could be implemented only when needed. While working on the Orbital Bus it became obvious that a secure vault was needed to save sensitive information such as credentials, tokens, and certificates. Inspired by Java Keystore, Foci Solutions designed and developed a platform-agonstic C# Keystore solution that could work on Windows or Linux. Foci’s Keystore is available as a Nuget Package, and it also comes with a Keystore Manager CLI Tool to perform CRUD operations on the Keystore directly. Please visit the Keystore’s How to Guide for more details on how to use the Keystore and its manager. The Keystore addresses the first security challenge. Your system requires a secure RabbitMQ client? Not a problem. You can have the credentials saved in the Keystore and use them whenever needed. Your Orbital Bus implementation requires using a certificate for service discovery through Consul? The Keystore can encrypt and save the certificate to be used whenever needed. If you look closely at the Orbital Bus API Documentation, you will notice that there is a KeystoreService and a KeystoreRepository that makes the integration with Foci’s Keystore Seamless. The Keystore’s CRUD repository makes it available to any part of the Orbital Bus components via the KeystoreService. Now that the first security challenge has been addressed through the Keystore integration, let’s move on to the second challenge: How to make security available but optional? The first thought that comes to mind is to modify Orbital Bus code. After further consideration, it becomes very clear that code modification based on security requirements is an expensive approach that necessitates code change based on the implementation requirements. We decided to integrate the security options into our configuration service to allow changes on the fly. This way security options throughout the Orbital Bus solution can be toggled with minimal effort. You want to secure your dispatcher’s communication to the RabbitMQ client? Then all you need is to turn on a security flag and provide the RabbitMQ credentials. Just let Orbital Bus’ configuration service take care of the rest. Foci’s Keystore can accommodate various entry types like certificates, key pairs, username/password pairs, and tokens. Each entry in the Keystore has a unique Alias to keep them organized. The Keystore can be configured to encrypt/decrypt its content using either the Current User or Local Machine data protection scopes. The Keystore is fully integrated for use by any component of the Orbital Bus like the dispatcher or receiver. You will only need to initialize the Keystore with the Keystore Manager Tool and add any credentials or certificates your solution requires. For example: Your implementation requires a secure communication between the dispatcher and RabbitMQ using a username and password? All you need to do is create the Keystore using the Keystore Manager Tool and add a new entry for the required credentials with a unique Alias. What’s next? How to retrieve the stored entries? What’s this Alias for? How to use it? All this will be explained in the next section. Orbital Bus approach favours configuration over customization for obvious reasons. In this section we will walk through how you can configure RabbitMQ, Consul, and the REST Adapter to be secure. The Orbital Bus has a KeystoreService that sits in the Root of the solution. The KeystoreService is injected into the ConfigurationService class. This ConfigurationService is a powerful and flexible tool. It can be injected into any component and it imports any set of configurations that are stored in a specified JSON file mapped into their own configuration model. For example: The ConfigurationService is injected into the DispatcherRegistration in order to configure the dispatcher with settings including the RabbitMQ options for addresses, credentials, and certificates. You might notice that the property SslEnabled is set to true, and there is an Alias property with the value “rabbitCredentials”. This simple configuration allows Orbital Bus to enable secure communications with the RabbitMQ server. The Alias here is the unique name we assigned to the credentials entry saved in the Keystore using the Keystore Manger Tool. Securing RabbitMQ in Orbital Bus is as simple as this. Save your credentials in the Keystore, and make sure you edit your configuration to point to the stored credentials Alias. Here a similar approach to the RabbitMQ implementation is used. 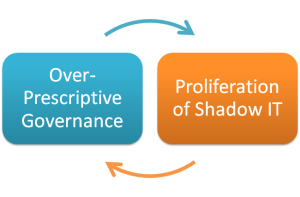 An entry with the Alias “consulcert” is referenced to retrieve the stored certificate that would be injected into the ConsulService when its initialized. The service then appends that certificate to requests. The REST Adapter follows a similar approach to enable and configure secure HTTP communications. The RestAdapterConfiguration class has a SecureConsumer flag to indicate if the security is enabled and a ConsumerAlias contains the unique Alias name for the credentials in the Keystore. Security is always a pressing concern and the best solution is not often easily apparent. In building the Keystore, we sought to make a tool that could be used easily and repeatedly, while at the same time making it an integral part of the Orbital Bus. We recommend checking out the How To Guide and trying it out yourself. Testing an ESB with Selenium! Manual integration testing is the first “test plan” in application development. This strategy quickly becomes a pain, so introducing automation early is important with any project. When working on an enterprise service bus, automated testing is a must have. Early in the development of Orbital Bus we began implementing automated unit tests and even automated integration tests in our continuous integration pipeline. Scripting such tests is a common approach for similar ESB projects. Why are we writing an article about Selenium then? Eventually we decided that console applications weren’t enough. It’s very common to have web applications that call to multiple micro-services via an ESB, so we wanted to build one and test it out. How would we automate those tests? We chose Selenium. Selenium 2 (WebDriver): Supplies a well-designed object-oriented API that provides improved support for modern, advanced web-app testing problems. Selenium IDE: Helps with rapid prototyping of tests with Selenium for experienced developers or beginner programmers who are looking to learn test automation. Selenium-Grid: Allows for tests to run on different machines and in different browsers in parallel. For Orbital Bus, we used Selenium 2 since it supports nine different drivers (including mobile OS’s). That ensures going forward we can adapt our tests however we need. We know Orbital Bus will be an essential component in a web application, so we needed to test the ability of Orbital Bus to handle a lot of requests from a browser-based application. By stressing Orbital Bus with a lot of requests, we could verify that our message broker receives and delivers the messages properly and the Dispatcher and Receiver handles and translates the messages as expected. In addition to Selenium 2, we needed to use a web driver to conduct the testing. We chose the Phantomjs Driver. This driver is “headless”, meaning we were able to manipulate all the elements in the page. Keeping in mind we wanted to stress test the system, we weren’t concerned with complicated UI scenarios. We were using Selenium just to fire requests and make sure that a UI element changed showing receipt of the response. Other test harnesses for browsers often open extra pages to capture the screen. That kind of interaction was beyond our scope. We wanted to just focus on messages getting through. The following code section is an example of our tests. Our experience with Selenium was easy to implement and quick in performing the necessary tests. Our tests successfully passed, demonstrating that Orbital Bus can work with web applications and have no negative impact over console apps. Selenium not only let us confirm Orbital Bus was working as intended with a web application, but it will afford us with the flexibility and performance needed to grow these tests in the future as we expand our use cases. You’ve heard people talk about enterprise service buses and you think it’s time you learned out to use one. You read an awesome blog post about this new thing called Orbital Bus and you think it would be a good project to play around with. Where should you start? Let’s start here. I’m sure you’ve checked out our project README, but just in case you need a refresher here’s a quick overview of how Orbital Bus works. Everything starts with the Producer and the Consumer. The Producer produces calls into the system. These calls can be synchronous requests or asynchronous fire-and-forget messages. What’s important is that the Producer is what initiates the action. The Consumer consumes messages off the queue. Both the Producer and Consumer are external to Orbital Bus. They might be third-party services, COTS products, or custom code applications made by your developer(s). The Orbital Connector is a library the Producer uses to get messages into the system. We have a whole project dedicated to connectors. The Connector uses RabbitMQ to pass messages to the Dispatcher. The Dispatcher listens for incoming messages, finds services via Consul, and sends messages to the Receiver via it’s queue. Receiver’s do the heavy lifting. They load custom libraries, transform messages, and use adapters to send messages to the Consumer. An overview of the Orbital Bus flow. For this little test, let’s put everything on your local machine. You’ll need to prepare by installing two third-party components: Consul and RabbitMQ. We use these for service discovery and message communication respectively. If you want some help you can check out our more detailed instructions. Since Orbital Bus is ready to communicate with any RESTful web service, we’re going to use JSONPlaceholder. Feel free to check it out and get a feel for the kind of messages you want to send. The Producer is the instigator of the pipeline. It calls out using the Orbital Connector and RabbitMQ to get the Dispatcher communicating with other nodes. 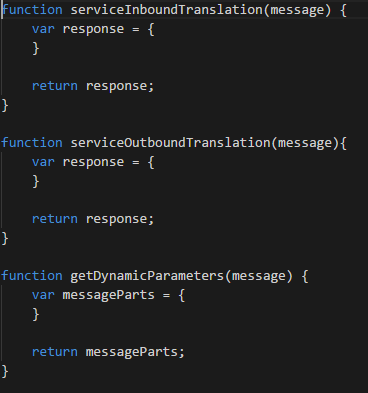 Since our current Orbital Connector is written in .NET, you’ll want a .NET application that references it. We have a NuGet package to make it simple. We have four methods for sending with the connector: synchronously, asynchronously, synchronously that can be awaited, and a one-to-many route. We recommend starting with a synchronous call. All the producer needs is the service ID for the destination service (which you add to Consul below) and a JSON-serialized payload. For more detailed instructions on making a Producer, check out our How-To Guide. It’s got a thorough process with code samples and everything! Next we’ll setup the side of the Consumer. As we said above, we’re not going to bother building a web service (though you can if you really want to). I know what you’re thinking: “Where’s the actual Orbital Bus?” That’s the beauty of our distributed system. The bus has no central hub to stand up. Each service has a node or nodes that live alongside it to facilitate communication. To get our local instance up we’ll need both a Dispatcher and a Receiver node. You can download them on our release page. With the release package unzipped in a location of your choosing, you’ll want to copy over your code generation output. Remember that bin folder we told you to keep track of? Copy all its contents into the Plugins folder for the Receiver. The Receiver will pull in those libraries at runtime and then it’s ready to communicate to your web service. You’ll also want to set the values of the configuration files to the appropriate values for your local deployment. We have a handy article about all the configuration properties. Be sure to open up any ports you’re planning on using for your Dispatcher and Receiver! Now it’s time to set everything in motion! If your Consul and/or RabbitMQ aren’t already running start them up. Start up your Receiver and register it with Consul. (We also have a Consul Manager tool in the release package. Check out this article to see how you can use it to register your service.) Start up your Dispatcher and your Producer and start sending messages! If you’ve run into any snags or want a more thorough description, check out our How-To Guide. It describes each step in detail so you can see how every part of the process should be configured. What’s next? Try implementing a second call. 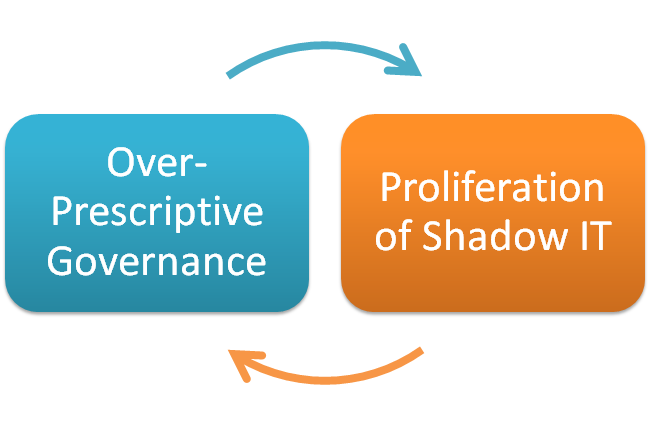 Check out our other documentation, like our Handshake Diagram to better understand the paths of the messages. Maybe add another Receiver with another web service to give you an idea of multiple nodes on the network. Hopefully this test will be a small step along your long future with ESBs. Enjoy!